Alabama resident Travaris Smith was left paralyzed back in 2015 as a result of a rollover accident involving a 1998 Ford Explorer. He snapped his spine, paralyzing him for life. And now, Reuters reports, a Dallas County jury has awarded Smith $151.8 million after finding that Ford failed to meet its own safety guidelines for the SUV’s rollover resistance requirement. Furthermore, the jury concluded Ford attempted to cover up the defective design. Therefore, the automaker must pay Smith $100 million in punitive damages and $51,791,000 in compensatory damages. Sadly, because of Smith’s condition, some of that money will now fund private home care and assistance. Smith was a passenger in the August 2015 accident when the driver swerved to miss an animal on the road. But instead of sliding out, the SUV rolled over twice. The jury ruled that happened as a result of a design flaw. Smith’s legal team asserted that Ford’s engineers pushed for a design change years ago, but instead of doing that, the automaker changed the testing process and destroyed data from earlier testing. "Our sympathy goes out to Travaris Smith and his family. At the same time, we disagree with the jury’s conclusion in this case as well as with a series of rulings by the Alabama court that kept the jury from hearing critical evidence - and will appeal,” Ford spokeswoman Monique Brentley said in a statement to Reuters. The issue, despite Smith’s tragic injury, really boils down to this: is Ford ultimately responsible for a 17-year-old vehicle with outdated safety technology and related systems at the time of the crash? On the one hand, yes, absolutely. 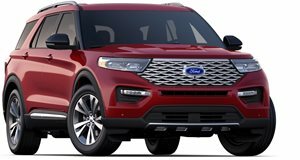 Ford manufactured the Explorer and as with all vehicles from every automaker, if there’s a safety defect, a recall is issued. However, it’s not always so clear-cut. For example, was the driver going too fast when they swerved? SUVs have long been known to be top heavy. Ford will now have to prove in its appeal there was no alleged cover-up regarding the old Explorer’s safety.